After Papaya Orange, we herewith present the logical addition to complete the most legendary racing color scheme since the raw 70s: GULF-Blue is now a reality! Gulf-Blue is the most legendary color in racing since 1970. Especially known as the "Gulf Scheme" in combination with our Papaya-Orange plus some black and white. Gulf-Blue is by far the lightest blue shade, which we ever created. It has a very "icy" appearance. Of course we maxed it out by making it extremely fluorescent at UV influence by daylight or UV-A blacklight. 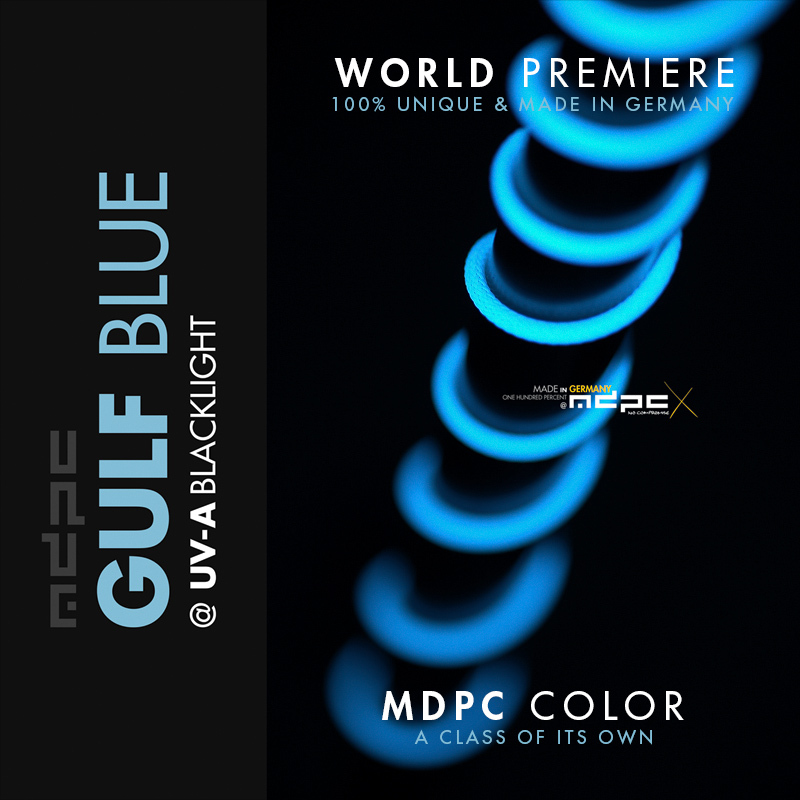 It is another demonstration of our class leading German color creation and base material technology, because the extremely light colors like Gulf-Blue demand the best in opacity while still keeping the color brilliant and saturated. Having the maximum in UV reactivity on top is the final demonstration of our leadership in cable sleeving manufacturing. And because these things are still not enough for us, we also added our famous UV stabilizers, so there is no material or color degredation over time, no matter where you use our product. 100% Made in Germany, 100% no compromise! 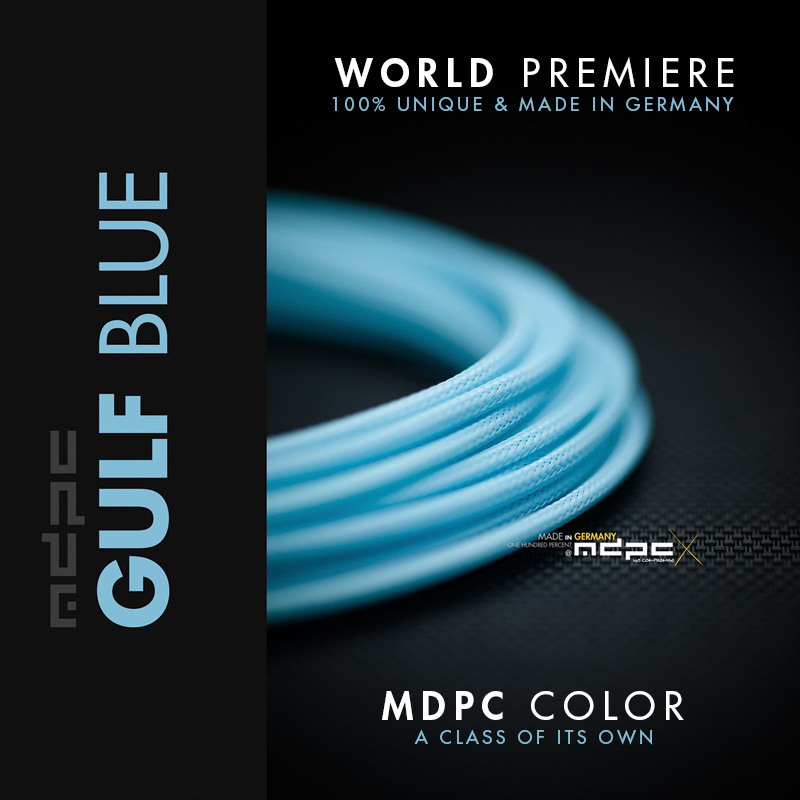 Get the new Gulf-Blue cable sleeving by MDPC-X now! You can order Gulf-Blue directly from us and of course you can also get MDPC-X Cable Sleeving products in even smaller quantities and directly in your continent / country through our global MDPC-X Stores. 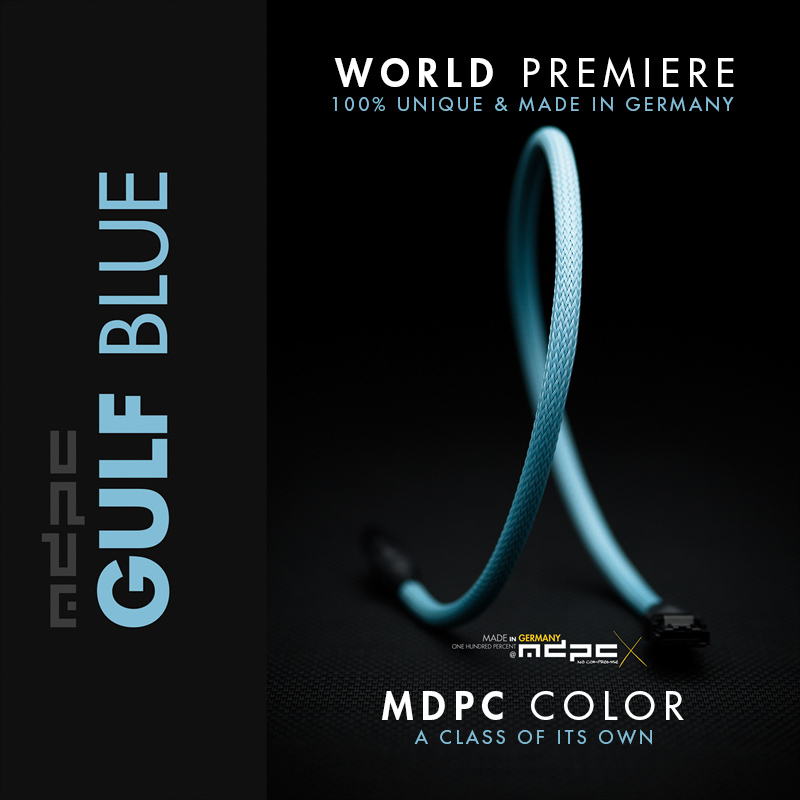 Gulf-Blue is available as SMALL cable sleeving and as MEDIUM cable sleeves.